I read a book recently, no strike that, I DEVOURED a book recently. It’s called Heaven is for Real . You know, sometimes I think I live in the stone age. I do NOT watch the news, I don’t get the paper, I don’t even get on MSN and scan the articles. If Dale doesn’t tell me, or I don’t read about something big on Facebook, I don’t know about it. So, when my dad came to visit, and told us about this book he was reading, I had never heard of it before. He told us a few short stories from the book and we all got goose bumps from head to toe. I knew I had to have it! Little did I know at the time that EVERYONE is reading this book! Or that this book is all over the news, that it just hit #1 on the New York Times Best Seller List for Paper Back Non-fiction. 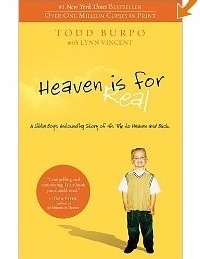 Heaven is for Real: A Little Boy’s Astounding Story of His Trip to Heaven and Back A young boy emerges from life-saving surgery with remarkable stories of his visit to heaven. This book could not have come at a better time for me. (Go figure?! Don’t you love how the Lord works!) My parched soul gobbled up these amazing stories with renewed promise and hope for the future. This book took away some of the fears of the unknown I had about Heaven. Most of them in fact! I now anticipate Heaven with a smile on my face. But the thing from this book that grabbed my soul the most? The part about Colton’s sister in Heaven. The one his mom miscarried before him. One they had never mentioned to him. “Mommy I have 2 sisters.” Colton said. Sonja looked up from her paperwork……..
At that moment, time stopped in the Burpo household and Sonja’s eyes grew wide……. 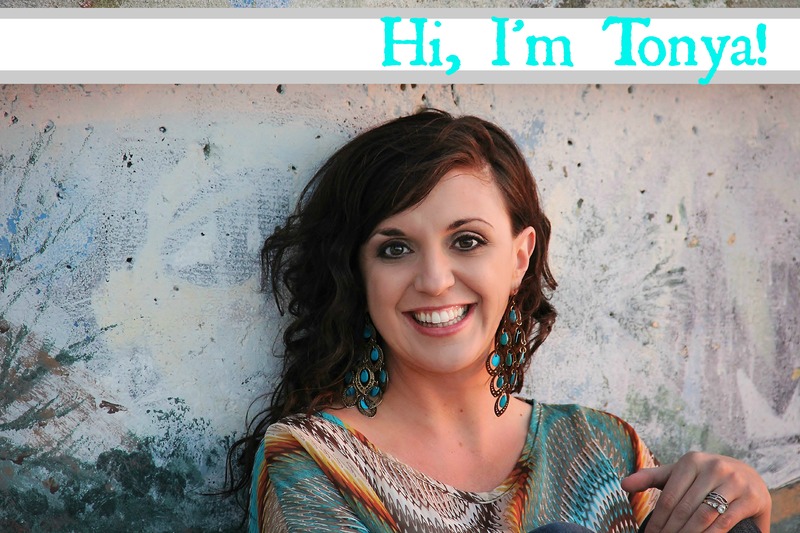 “Who told you I had a baby die in my tummy?” Sonya said, her tone serious. Then Colton turned and started to walk away. He had said what he had to say and was ready to move on. But after the bomb he’d just dropped, Sonja was only getting started….. I knew what my wife had to be feeling. Losing that baby was the most painful event of her life. We had explained it to Cassie, she was older. But we hadn’t told Colton, judging the topic a bit beyond a 4 year old’s capacity to understand. From the table, I watched emotions rioted across Sonja’s face. Sonja slid off the couch and knelt down in front of Colton so that she could look him in the eyes. “Don’t you mean Jesus adopted her?” she said. Sonja turned and looked at me. In that moment, she later told me, she was trying to stay calm, but she was overwhelmed. Our baby….was –is!- a girl, she thought. As I watched, a blend of pain and joy played across my wife’s face. Cassie and Colton have my blonde hair. She had even jokingly complained to me before, “I carry these kids for nine months, and they both come out looking like you!” Now there was a child who looked like her. A daughter. I saw the first hint of moisture in my wife’s eyes. Now Colton went on without prompting. “In heaven, this little girl ran up to me, and she wouldn’t stop hugging me,” he said, his tone clearly indicated he didn’t enjoy all this hugging from a girl. We wanted to believe our unborn child had gone to heaven. Even though the Bible is largely silent on this point, we had accepted it on faith. But now, we had an eyewitness a daughter we had never met was waiting eagerly for us in eternity. My heart was pounding and tears were not even yet forming, when I laid the book down on my chest and just stared at the ceiling, trying to fully comprehend what I had just read. This was big. I would get to meet my babies in Heaven? They would KNOW who I was? They were excited to meet me? THEY WERE EXCITED TO MEET ME! Wait, I am their Momma, even in Heaven?! 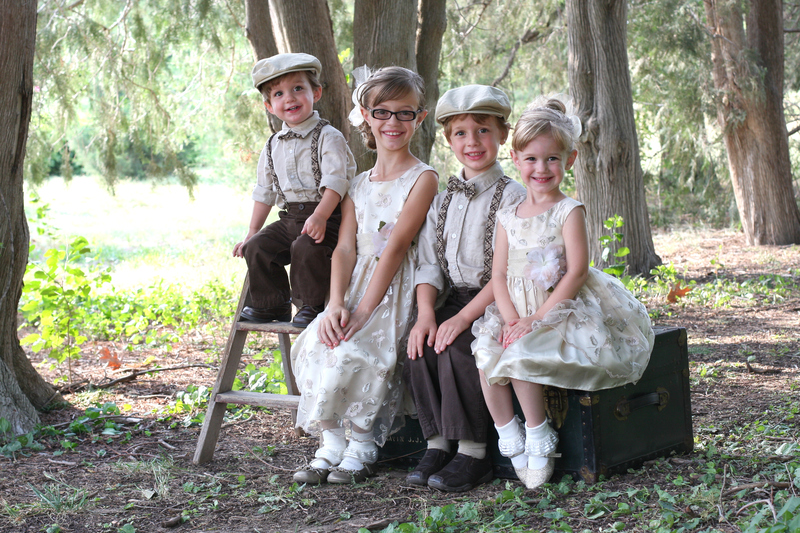 Suddenly, those 4 little Heavenly Ferguson’s became very real to me. As real as my 4 little Ferguson’s here on earth. As real as being able to wrap my arms around them to touch them. To kneel down, arms flung wide for those babies to come racing into them with shouts of “Mommy! Mommy! You’re here!” To strokes those precious little faces and marvel at which sibling they look like, to bury my nose in their hair and just LOVE on them. I buried my face in my hands and wept. Shoulders shaking, sobs wracking my body. I am sobbing again as I write this to you at 4 in the morning. I have lain in my bed all night dozing, dreaming and pondering what I just read. I so desperately needed to hear that. Desperately. I have never been able to move past that dark little corner of fear, of sadness, in the corner of my soul, way down down deep, that I would never know my lost children. After 5 years of trying not to stew about it, to feel the loss of it over and over as I pictured them, what I was reading was changing everything I knew. Blurry images of unreachable children, whom I’d never meet face to face, who would never know I was their mommy or that I loved them dearly, were replaced with something new. New happy images of a joyous reunion. All this time I had just been trying to be thankful that I they lived in Heaven with their Heavenly Father. That needed to be enough. Or so I thought. I imagined begging Jesus for just a glimpse of them. Just point them out to me for a moment so I can see them. Just give me the knowledge that I am their mommy, if only for a second, before taking away all titles again. You have to remember I was born and raised believing that we wouldn’t know or recognize each other in Heaven. This was so hard for me to think of, not only for my family here on earth, but the family members that have gone before us too. Once the tears stopped, and I gathered my thoughts again, I was filled with JOY. I felt so loved and understood by my Heavenly Father at that moment. He knew my heart, He knew I needed to read this book, He wanted me to know JUST HOW MUCH HE LOVES ME. Colton said it over and over in his book, just how much God, the Father, loves us. He loves us dearly. You need to get this book. It is filled with beautiful images of Heaven, a picture of Jesus Colton picked out as “the one”. (interestingly drawn by a little girl who also visited Heaven in a dream) It is filled with rainbow colors we’ve not yet experienced, animals of every kind, families reunited, a God who draws a little boy up onto His lap, a glimpse down at earth from heaven, a beautiful place “where no one is old and no one wear’s glasses”. I am not being asked to review this book. I am writing this from my heart as I still work to grasp the magnitude of what I just read. And for the first time? I am truly excited for Heaven. Don’t get me wrong, I knew it was the place I wanted to go, but the fear of the unknown, the fear of “losing” my family, or I should say the knowledge that they were my family was a big issue. An issue that is no longer. This week, anticipating Mother’s Day has never been sweeter. I am Tonya Ferguson, mommy to 8 little Ferguson’s, and I am BLESSED beyond measure.